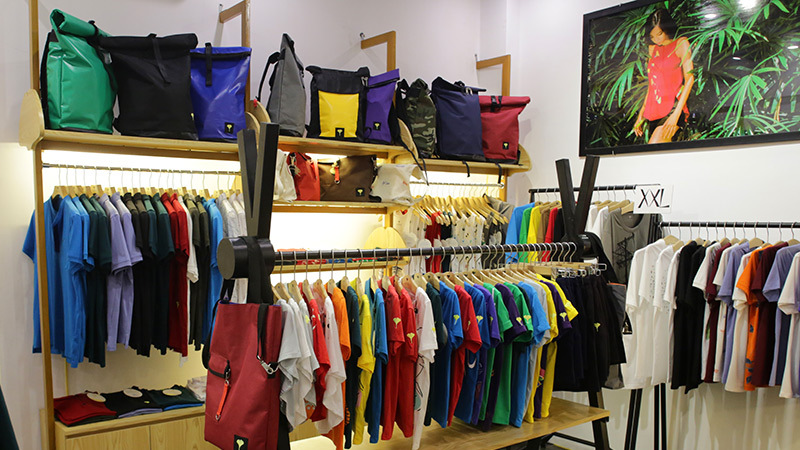 Ginkgo has been producing and selling high-quality clothing from their fashion stores in Vietnam since 2007. Established in Ho Chi Minh City, they have branched out and now have establishments in Hoi An, Hanoi and Nha Trang. 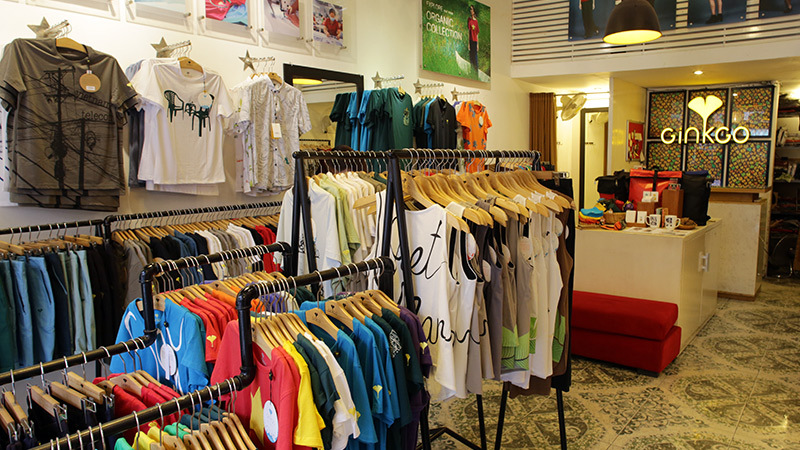 Their Hanoi shop sells superbly designed and fashionable t-shirts for men and women. Creative designs incorporate images like the country’s famous five pointed star, to pictures of tangled phone wires criss crossing each other. Ginkgo uses the highest quality of fabrics in the manufacture of these quirky designs. Fabrics are sourced from countries like Thailand, Bangladesh and India. They are imported into Vietnam and from that point on, all parts of the process are strictly Vietnamese. All dyeing, cutting, printing, embroidering and sewing of the clothing is done here. Ginkgo are particularly proud of their high quality, organic cotton fabrics. Ginkgo employs strict, fair trade and ethical working practices in all it does and will only partner with companies employing the same standards.